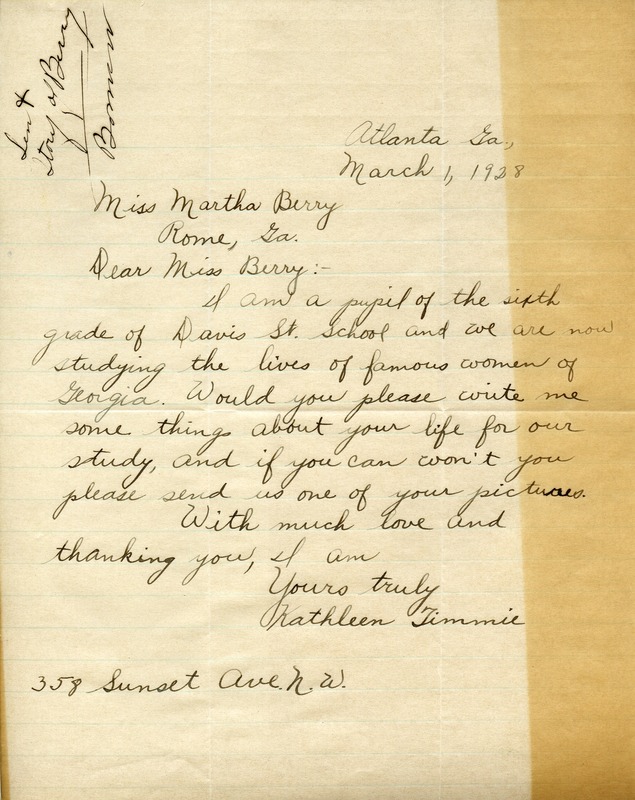 Kathleen writes to Martha asking for things about her life for the study that they are doing at the Davis St. School on famous women of Georgia. Kathleen Timmie, “Letter to Martha Berry from Kathleen Timmie.” Martha Berry Digital Archive. Eds. Schlitz, Stephanie A., Aaron Jackson, et al. Mount Berry: Berry College, 2012. accessed April 18, 2019, https://mbda.berry.edu/items/show/9122.